In the art field (or actually any field of interest) we have someone or maybe a few people we admire and find inspiration in their work. I've appreciated many artists along my journey as an artist, but there are those few that I truly recognize as leaders in the world of pastels. One such artist is Liz Haywood-Sullivan. The way she captures light and a sense of mood within her pastels is awe inspiring! Immediately drawn to her artwork I began to study her processes of creating inviting pastels through her instructional books and online tutorials. I enjoyed applying some of her techniques to the way I work with pastel and have been excited about the results. 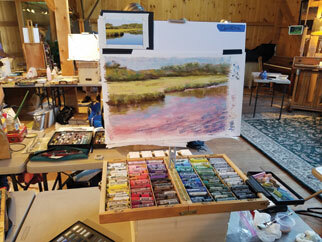 Last September I had the privilege of reserving the last spot in one of her workshops at the studio of Stan Sperlak (another incredibly talented pastel artist) located in Cape May, NJ. 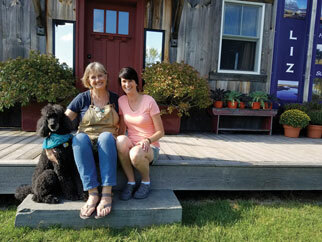 The three day workshop included studio time, along with outdoor painting. She took us back to the basics of observing, sketching with note taking, value studies and working with an underpainting. As artists, we’re always reshaping and improving our painting techniques and this experience of being submerged in everything pastel and creating new friendships with others that share the same passion was invaluable! During one of my 2014 spring outdoor shows, a writer from The Chester County Press (Richard Gaw, who was covering the show) stopped into my booth to take a closer look at my pastels. I waited a few minutes for Richard to walk around before I introduced myself. 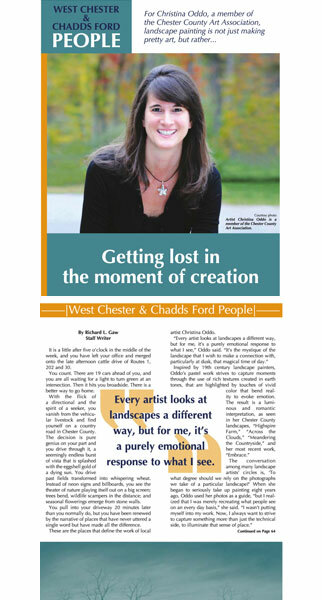 Impressed with my pastels and our conversation, he asked if I would be interested in having him write an article about my artwork in the Fall/Winter West Chester & Chadds Ford Life magazine. Filled with a variety of emotions I enthusiastically accepted and we made arrangements to meet for a formal interview. The entire process went very smoothly and I'm very happy with the outcome of the article. I hope you enjoy it too! Inspiration for new pastels comes in many forms, but for me it’s mostly from places I travel to. 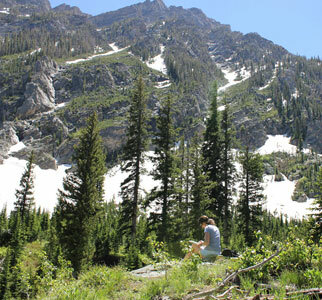 One such place, where I’ve been before and always enjoy a return trip, is Jackson Hole, Wyoming. I had the opportunity to visit this past June when the higher mountain elevations still had winter snow and the valley was filled with a variety of colorful flowers, along with vibrant greens of new growth as far as the eye could see. It’s an amazing time to visit and be inspired! 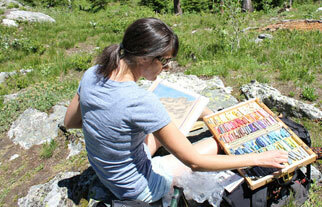 I really enjoyed painting on location in Jackson and the surrounding area, where most views were an adventure to get to. The reward of getting to that special place was having a chance to submerge myself into the environment and make that connection I could translate into a pastel. It’s my artistic process of observing nature, appreciating it and then visually expressing the essence that drew me there. I’m looking forward to creating many new pastels from the sketches, notes and photos I collected while on this trip. Look for them in my upcoming exhibits! 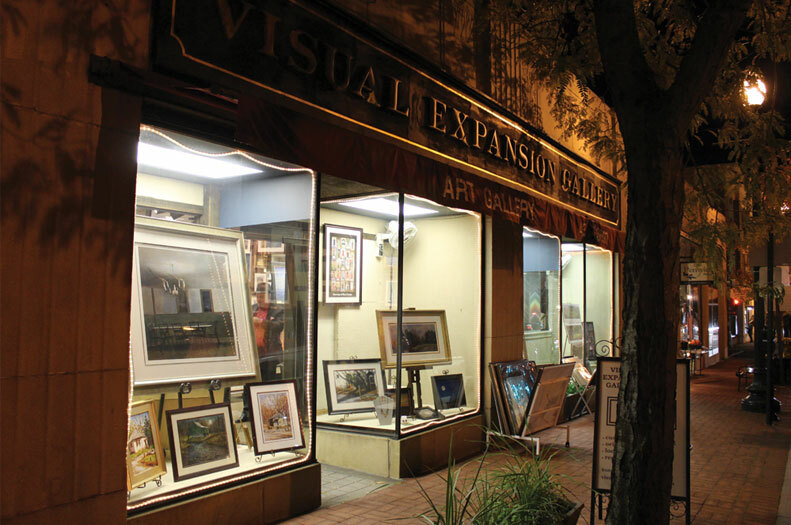 The Visual Expansion Gallery is located in the heart of West Chester, PA and their collection of art consists of a variety of local artists. I’ve been represented by the gallery for three years now and I’m very excited about being given the opportunity to showcase my pastels during the first gallery walk of 2014 through May. Come out to see my collection of new pastels and enjoy an evening of exploring West Chester, with its many restaurants, shops, music venues and coffee houses. Looking forward to seeing you at the opening! 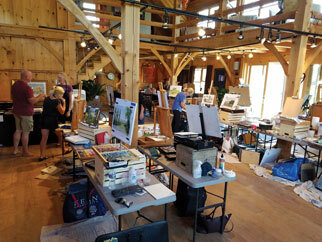 Monday-Saturday | 10:00 a.m. – 5:30 p.m.
Sunday | 12:00 – 4:00 p.m.
“Drawn From Nature” - 8th Annual Juried Art Show at The John James Audubon Center at Mill Grove. I am pleased to announce that a newly created pastel “Restful Pose” was awarded 3rd Place in a Juried Show at the John James Audubon Center at Mill Grove this past April. It’s a great honor to receive this award and to be chosen from an exceptional group of artists. 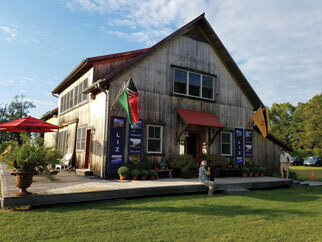 This annual art show embodies the ideas expressed by the John James Audubon Center and the Valley Forge Audubon Society by inspiring people to appreciate, preserve and protect birds, other wildlife and their habitat. It promotes a personal appreciation of the natural world and maintains the artistic, scientific and historic legacy of John James Audubon. 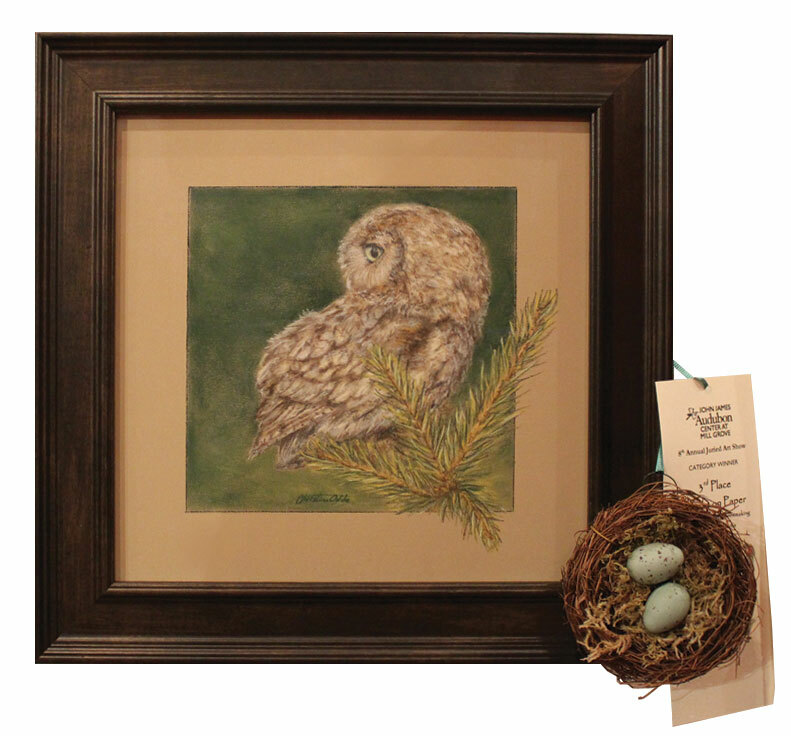 Check back for details on the 2014 “Drawn From Nature” art show so you can plan to visit the show and explore the grounds of the John James Audubon Center. 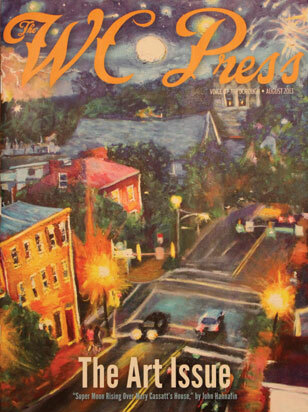 This past July I received a call from a writer at the WC Press, a local magazine for the West Chester area in Pennsylvania. They were putting together an article about a group of regional artists and wanted to know if I’d be interested. It took all of about 10 seconds to answer “Yes, I would be!”. Along with thirteen, very talented, fellow artists I shared my bio and an example of my artwork. I chose “A New Day” since it highlights the luminosity I try to capture in my pastels. It was a piece inspired by a sunrise on Moosehead Lake, Maine and every time I look at it, I’m transported back to the shores of that lake, one very early morning.